When I received the sad and shocking news about our loss of Brother Hugo Pinell, aka Yogi Bear and Dahariki, I must say it felt like a big blow to my gut. In losing our Brother Hugo Pinell, I lost not only a brother, but a comrade, hero, motivator and educator. Brother Yogi was the name that Brother Hugo called himself most, so I’ll more often use that name throughout this essay. 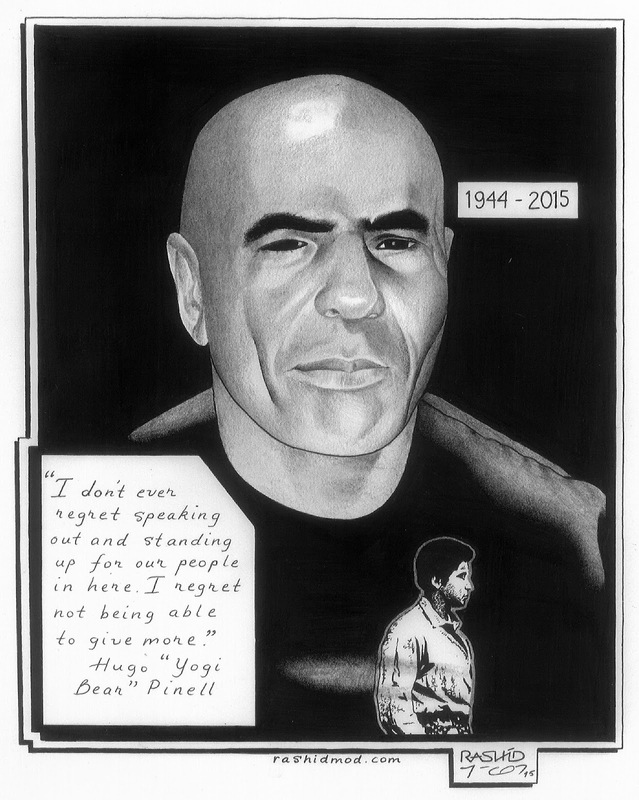 Brother Yogi, along with another veteran warrior in the Black Liberation Struggle, Brother Ruchell Cinque Magee, are perhaps two of the longest held political prisoners in the U.S. 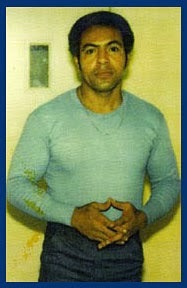 Brother Yogi had been locked down inside the dungeons for 50 years – with 46 years being in the hole. Under international law, this is ruled “torture.” Despite the decades of torture and being denied parole numerous times, Brother Yogi still kept it moving with his spirit intact. Up to his death, Brother Yogi hadn’t had a disciplinary write-up for 30-plus years, yet he was kept in the hole. What the racist legal system in California did to this upright and principled revolutionary servant was not only unjust – and criminal – but also barbaric. Brother Yogi, I believe, was kept on lockdown all these years not only because he refused to be broken, but also I believe the state had and has an underlying fear of the truth surfacing about the actual events that occurred at San Quentin Prison on Aug. 21, 1971. It’s quite strange that Brother Yogi was murdered right after being transferred to the mainline. I strongly feel that our Brother Yogi may have been set up where he was put in a position to be attacked by the racist Aryan Brotherhood, who are notorious in California state prisons. In losing our Brother Hugo Pinell, I lost not only a brother, but a comrade, hero, motivator and educator. Throughout my 11 years corresponding with Brother Yogi, it was an inspiring as well as a learning experience for me. Brother Yogi gave me a reliable history lesson on struggle and his political development and how good brothers like W.L. Nolen and William Christmas both played a major role in the development of his and other brothers’ consciousness. Brother Yogi told me that they first went through two steps: 1) the Black Consciousness Program, and 2) the Black Revolutionary Program. He never sent a letter to me where he didn’t give props to Brother Malcolm X, and he gave much props to Brothers W.L. Nolen, William Christmas, Khatari Goulden and George Jackson. 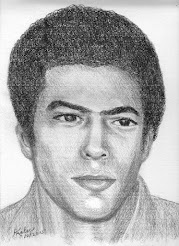 However, we couldn’t discuss Brother George Jackson in our letters to each other while Brother Yogi was held captive at Pelican Bay, which is called “Skeleton Bay” because of the uninhabitable conditions inmates have to live under. My letters were always confiscated whenever I mentioned Brother George Jackson or “Black August,” because the prison officials at Pelican Bay would affiliate Brother George Jackson and Black August with some terrorist gang affiliation. Brother Yogi gave me a reliable history lesson on struggle and his political development and how good brothers like W.L. Nolen and William Christmas both played a major role in the development of his and other brothers’ consciousness. It seems as though when people of Afrikan descent organize to better their deplorable conditions, then they’re mislabeled as gang members etc. Brother Yogi was a staunch revolutionary – plain and simple. He was also known to be a brother who not only preached the true principles of communalism, but Brother Yogi practiced it, which is a rarity these days. Brother Yogi loved and appreciated the soulful sounds of legendary R&B artists, especially Brother Sam Cooke. Brother Yogi loved to sing Brother Cooke’s powerful song, “A Change Is Gonna Come.” That song was one of Brother Yogi’s favorites. He would always reassure me that “a change is gonna come,” although it may not happen in our lifetime. Brother Yogi stated that it’s very crucial to transform into a new, wholesome, beautiful man or woman in order to create a more harmonious and balanced world. He stressed this all the way to the end. This bold and principled revolutionary will be sorely missed. However, Brother Yogi would want for us to push ahead in the struggle. That way we’ll be paying our beautiful brother a great honor. Farewell, Big Brotha, and know that your spirit and legacy will be ever with us all who truly value liberation, “Kwa-heri” (“Goodbye” in Swahili)! Taharka M.C. Omowale is a well known advocate for political prisoners.